I know I’m doing two unbaggings in a row, but next week is the week of Halloween so I want to save that week for some cute makeup looks and more Fall tutorials! So, today I want to share with you all what I received in my Lip Monthly bag. Lip Monthly is a monthly beauty subscription that now costs $12.95 per month. You get 4 full sized products, 3 being lip products and there’s always a “makeup mix up” that isn’t a lip product. On average, their bags are high value and most I’ve gotten have been worth $40+. There is almost always a code to get your first bag for $5 floating around as well on Instagram! Even better, starting in November subscribers will be able to choose the shades they get in their bag, and they’re starting a rewards program! I’m stoked about this new addition to their service. I’m a bit picky when it comes to the shades I wear, and being able to choose will be awesome. Give me all the reds. 1. Pencil Me in Eyeliner in One Cent This is a full sized product that retails at $6.99. I’ve received an eyeliner from this brand before, but I wasn’t a fan of the color. However, I really love this color. I like this formula and it doesn’t tug on my eyes at all, and this shade is right up my alley! It’s a shimmery copper shade which is very flattering for green eyes, so I can’t wait to include this in a few fall looks! 2. Lord & Berry Lip Crayon in Sensual This crayon retails at $16, which is a lot for this tiny lip crayon. However, this color, like it’s name, is pretty sensual. It’s a really pretty muted red shade, so if you’re someone that doesn’t like bright reds but enjoys the look of a sultry muted red for Fall, this is a good one! I do have another one from this brand, and now that I have two I might do an official review, what do you all think? 3. Hikari Crayon in Mandarin This chubby lip crayon retails at $14, but I don’t quite understand this shade being in the October bag. It’s orange-y but more in a Summer sense and not in a Fall sense. I don’t really see myself pulling this out until Spring, but it is a lovely shade and it swatched very smoothly, which means it will probably be very hydrating. 4. J.Cat Lipstick in Auburn This is the lowest value item at $2.99, but probably the product I love the most in this bag. Weird, right? I’ve been wanting to try more J.Cat lipsticks ever since the concealer shade Lip Monthly sent everyone (no fiascos like that since then, thankfully) because these seem promising. I adore this shade. It’s so beautiful, and I nearly gasped when I swatched it. Okay, I do that often because I have a serious lipstick addiction and when something swatches smoothly and is a gorgeous shade, my heart flutters. Don’t judge me. Well, that’s everything I got in my Lip Monthly bag! 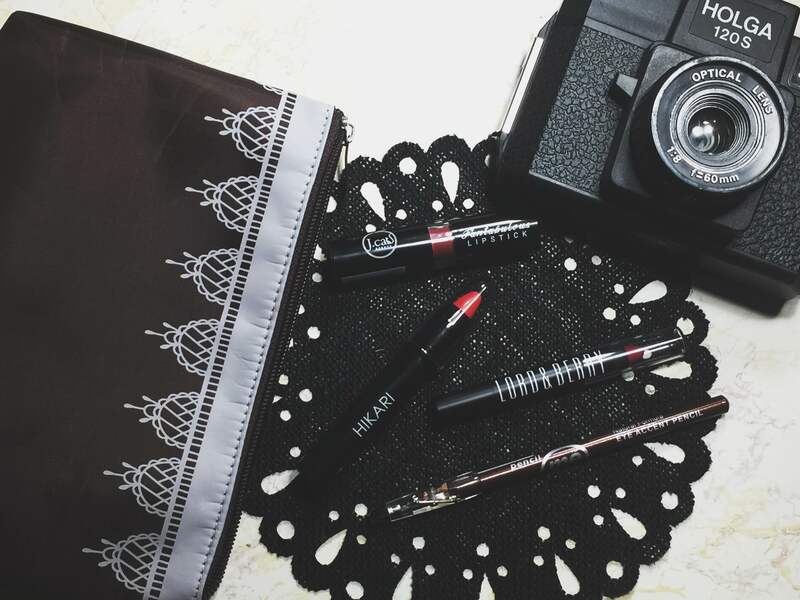 If you’re curious about past bags, I do have quite a few reviews of their brand that include things about their customer service on my blog as well, just use the search bar on the right hand side of my page and search “Lip Monthly.” I’ve gotten some pretty awesome things in this bag, and some duds. That’s the risk I take with loving beauty subscriptions so much though. This month’s bag retails at $39.98, which is pretty high value, but not as high as usual. I am really happy overall with this bag. Let me know if there’s anything you all would love to see a lip swatch or short mini review of!